Please note: New Xeland is a fictitious country, used in this article as a "placeholder" for an ideal which expats and immigrants would like to move to. It begins exceptionally beautiful day in your neighbourhood. You pick up your local newspaper, pick up a steaming cup of your favourite morning beverage, and sit down to catch up on the events which are shaping your city, your country, and the world. You see headlines about historically low unemployment in New Xeland. Your job has been going well, yet it can sometimes be a struggle to make ends meet. Your spirits lift with the thought of a new start. Your sister and her family recently moved to New Xeland . She told you they are very happy they made the move, and suggested you do the same. The air is cleaner, the streets are safer, and the opportunities for employment far more reliable. Yet you still have close friends and family in your home country. But your spouse is looking for stable work, and your salary is barely meeting your financial needs. Further, you’ve been struggling with the ethical and political views of your ruling government. There are many motivating factors which can drive someone to pack their most valued possessions and emigrate from the country they’ve lived in for years. They include negative Push Factors which compel people to leave their homeland, and positive Pull Factors which draw migrants to certain countries over others. Despite the nationalist views of a couple of world leaders, we live in a world where international travel and communication is more accessible than in any other era in history. Some describe emigrating from one’s home country is like ending ones’ life in one place and being reborn in another. Male migrants make up 52 percent of international migrants, and the largest age group within this sector is 25-29. One third of the world’s international migrants lived in Europe in 2015. In 2015, approximately 35 percent of the migrants to Europe were from Africa, and about 25 percent were from Asia. 40 percent of European migrants remain within the continent. These percentages have all grown significantly since 1990. What has remained consistent is the percentage of European expats in other continents. That said, the top 5 most desired countries to migrate to include the United States, (20% of those surveyed) the UK, (6.1%), Saudi Arabia, (5.8%) Canada (5.7%) and France (5.5%). Have you been considering a move to another country because of the sorts of push or pull factors like the ones above? Stay tuned to this blog for more insights and advice for those considering a move abroad. 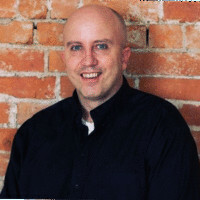 Mark is a content writer, editor, and digital marketing specialist at XE, based in Newmarket, Ontario. Before joining XE, he worked with IBM, Open Text, TELUS and Canada Post.